A great way to build team spirit! 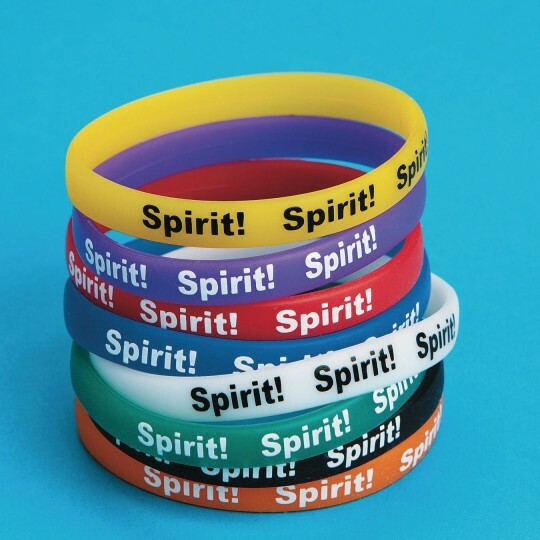 Bracelets are imprinted with the word "Spirit!" A great way to build team spirit! Latex-free, one size fits most. Imprinted with the word "Spirit." Please specify red, yellow, blue, green, purple, orange, white or black when ordering. Staff and campers alike love wearing these bracelets although they are snug on our adult male staff. 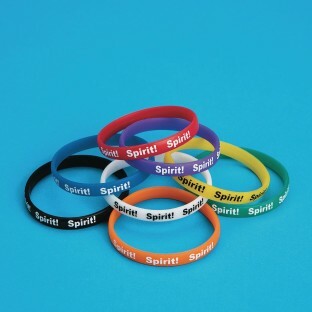 We use these for spirit rallies and events where we differentiate teams by color. Love them!